Chobani Strawberry Greek Yogurt - 5.3 oz. Sweet and tender strawberries beneath a layer of low-fat Greek yogurt. Plump, red-ripe strawberries are hidden beneath thick, delicious Chobani Greek Yogurt. It’s made with simple, wholesome ingredients, including locally-sourced milk. No wonder every bite is lip-smacking. Erin Baker's Endurance Crunch Granola - 12 oz. High protein granola made with whole grain oats and peanut butter. Pacific Coast Fruit Strawberries - 1 lb. There’s nothing better than fresh, red-ripe strawberries delivered to your door. Seattle Bagel Bakery Strawberry Cream Cheese - 9 oz. 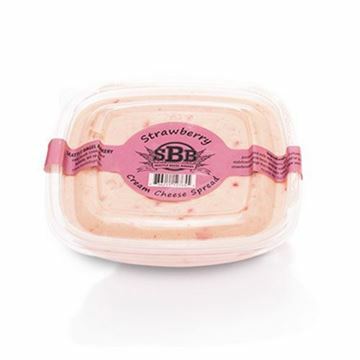 A delicately sweet cream cheese blended with real strawberries. 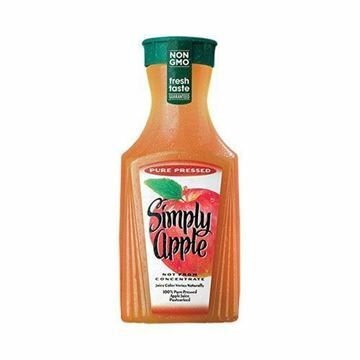 Simply Apple Juice - 52 oz. Pure-pressed apple juice with no added sweeteners or preservatives. I love waking up in the morning and having a sweet taste to go with my cereal. The idea of mixing in the bottom is a really good idea.